A talented workforce and healthy economy lay the groundwork behind Oklahoma's lead in agro-science and unmanned aerial systems. 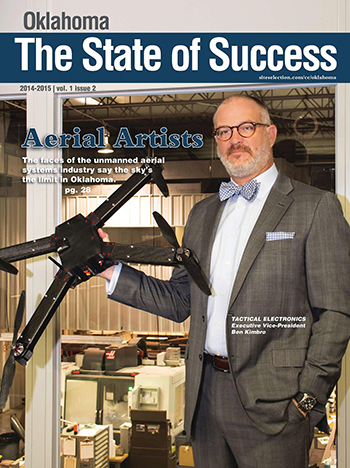 Aerial artists in Oklahoma are researching, developing and building the UAVs that are shaping our future way of life. How the Oklahoma business climate attracts industry and improves incomes. Employment events for veterans add value to Oklahoma’s economy.